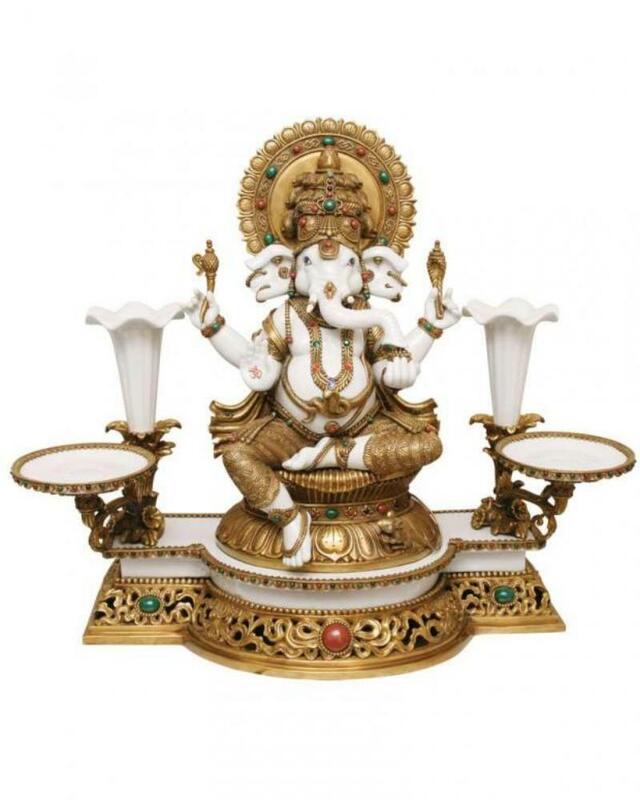 Chaturbhuj, is a creation of imaginary art with fusion of porcelain and brass together. A magnificent masterpiece crafted to perfection creating a great aura in any surrounding. The detachable front platters & the fleur holders add grandeur to the masterpiece.